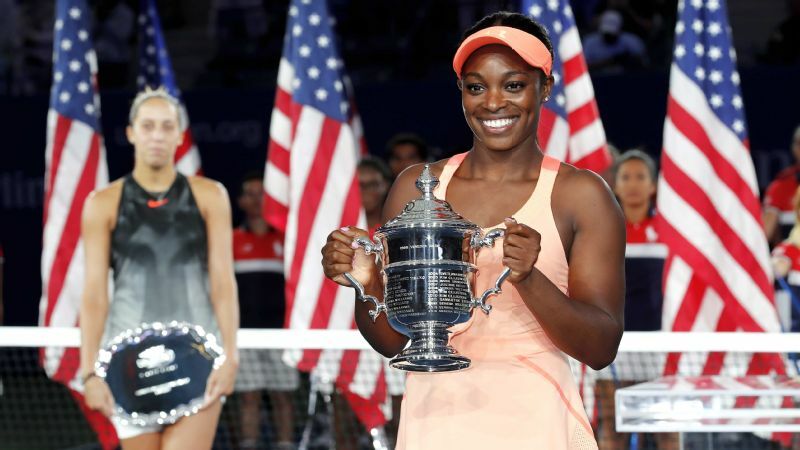 While Sloane Stephens was becoming only the second unseeded player in the Open era to win a Grand Slam title at the US Open on Saturday, Jennifer Nickle was 500 miles away, watching the match on TV. As the rest of the world pondered how Stephens had managed such a remarkable comeback from foot surgery eight months earlier, Nickle had firsthand knowledge of just how hard the 24-year-old had worked to return to the sport. Instead, she was wondering what Stephens had had to eat that day. 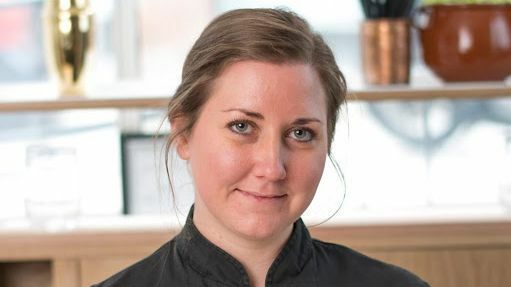 For the past 2½ years, Nickle, the chef of culinary development at Precision Nutrition in Toronto, has been part of the team helping Stephens return to peak shape by educating her on how best to fuel her body during recovery as well as when she's competing at the top of her sport. 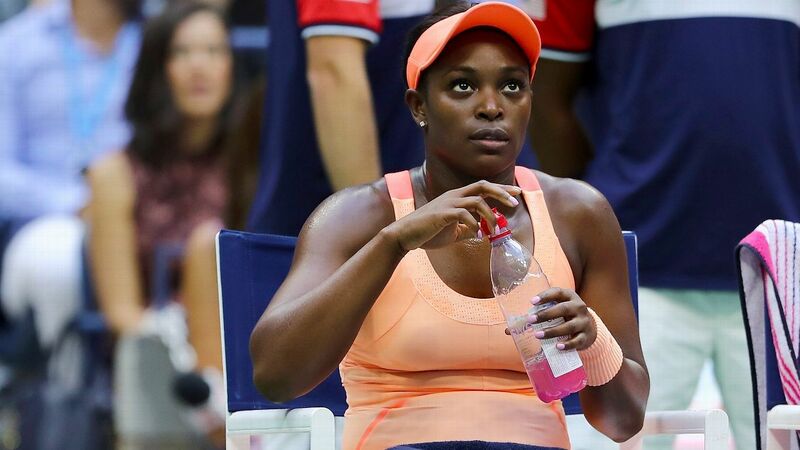 Sloane Stephens was ranked No. 957 in the world at the end of July. She's up to No. 17 after winning the US Open, which she missed last year while injured. "It's not prescriptive, and it's not forceful. 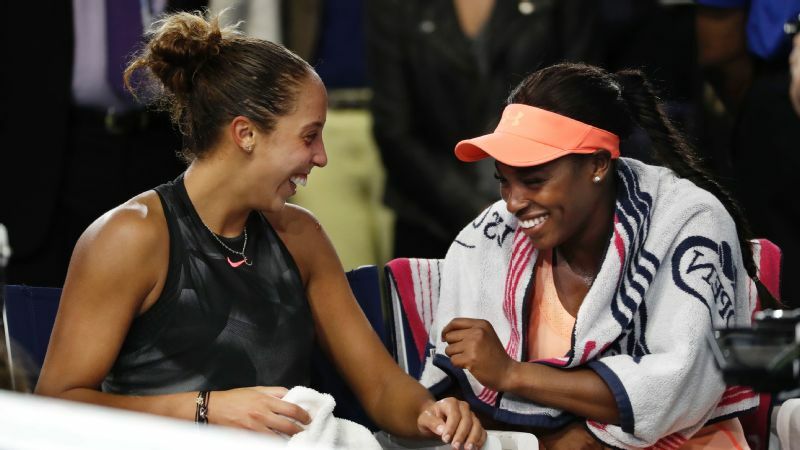 It's about teaching Sloane how to approach food in a healthier way through habits and daily practices," Nickle said. "It was about breaking it down for her to access the information in a way that was tangible and human instead of putting her in a mindset of 'I have to eat healthy.' That doesn't get people anywhere most of the time." Before joining Precision Nutrition, Nickle spent several years working as a private chef for UFC fighter Georges St-Pierre, a three-time welterweight champion. At PN, she works with Brian St. Pierre (no relation), the company's director of sports nutrition, to develop a nutritional plan for Stephens based on her likes and dislikes, and then spends about 10 weeks a year on the road with her, including two-week training blocks at her home in Los Angeles and on the road in the weeks leading up to tournaments such as Wimbledon and the Rogers Cup. "The amount she's learned about herself and nutrition has had really positive effects in her life," Nickle said. "She questions things she wouldn't question before. And when she latches onto an idea, she holds onto it forever. It's part of what makes her a great tennis player. Snacks used to be cookies and crackers. Now they're veggies and almonds. Once she wants to do something, she does it." Jennifer Nickle helps develop Sloane Stephens' nutritional plan and spends about 10 weeks a year on the road with the new US Open champion. Cut the juice: "Right away, we tried to coax fruit juice out of her life," Nickle said. "People think because it has Vitamin C on the label, it's OK. It's not. Sloane doesn't drink soda, but quitting juice was a challenge for her. Once she understood the relationship between natural sugars and fiber, and why you should eat an apple instead of drink apple juice (because juice contains all of the sugar but none of the fiber, which is beneficial for digestion), she was able to let go of juice." Size matters: "Especially during her recovery, we focused on eating lots of vegetables and antioxidant-rich foods, high-quality proteins and portion control," Nickle said. "What does a portion of brown rice look like? Scoop it into the palm of your hand, and that's your portion. That is difficult at first for people to understand, especially in the States, where restaurants often serve a plate of pasta with 150 grams of carbs, when you only need 30 carbs for that meal. But we focus on a practical understanding of portion sizes. You won't see Sloane measuring her tuna on a scale." Be a label snob: "We taught Sloane how to read labels and understand that packaged food is a last resort," Nickle said. "That's not to say any food is 'good' or 'bad.' We wanted to avoid that kind of shameful eating, saying, 'You can't eat that. That's bad for you.' Food is not good or bad; it's just varying degrees of better or worse. Sugar and processed food is clearly what's killing us, and so we educated her on what is a whole food [food that has not been processed and is free from additives and artificial ingredients], and how she can eat as much whole food as possible." Go green: "The lifestyle and travel schedule for tennis players is insane. You have no choice but to eat at a restaurant five to seven days a week. Whatever your situation, wherever you are, if you can't make the best choice, make a choice that is better than a worse choice," Nickle said. "If you're stuck at a restaurant without many healthy options, add an extra portion of vegetables to your meal. Order a side of steamed spinach. We recommend at least six portions of vegetables a day, and most people don't even get two."